With the increasing demand of mobile stone crushers in India, we support the users with state of art manufactured and assembled mobile crushers. We provide complete customize solutions for manufacturing, fabrication and assembling of mobile crushers. We prepare Jaw Crusher, Cone Crusher, VSI, Impact Crusher along with Power Screen of 2 deck and 3 deck. Accompanied with feeder, conveyors, panels, and if required with power Generators. The crusher we supply are easy for maintenance and easy to operate. For all your genuine requirements, contact us with budget and required capacity and required stages. 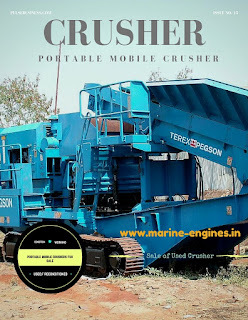 We assure best customize solution for all your requirement of mobile crushers.